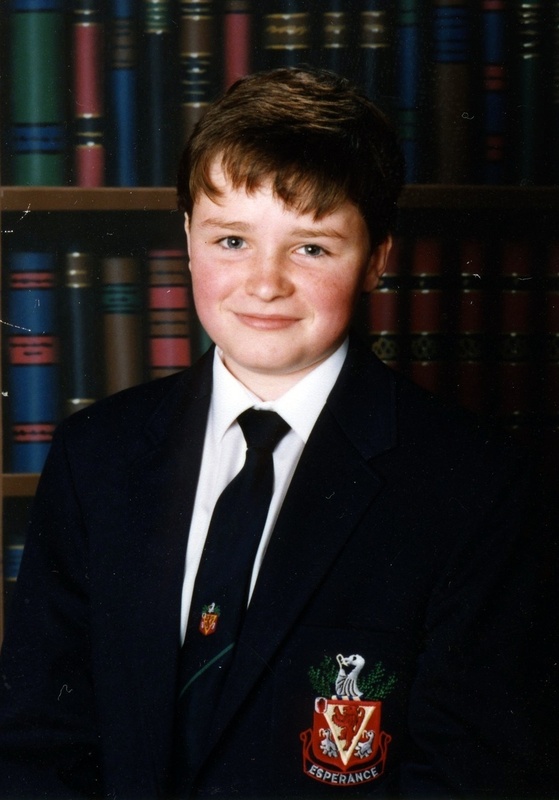 THE mother of a 15-year-old schoolboy who died almost 24 years ago has spoken about the impact on her family of a major delay in the second inquest ordered by the Attorney General into the death of her son. Christopher Coulter from Hillsborough died a week before Christmas in 1994, 10 days after receiving the combined Measles/Rubella (MR) vaccine at school. Christopher’s parents Anne and Harry have always believed that the vaccine played a part in their son’s death but the original inquest in 1995 concluded that he died from an epileptic fit – even though there is no history of epilepsy in the family. The inquest case was before Belfast’s High Court today where the judge said he was “profoundly concerned” at the delay. Speaking afterwards to The Detail, Anne Coulter said: “We as a family have struggled for over 20 years since the sudden death of our son Christopher in 1994 ten days after he was given the MR vaccine. The Detail first reported in March 2011 on the family’s long battle for answers about Christopher’s death and on his mother’s call for a new inquest to take place. In February 2012, Attorney General John Larkin QC issued the directive to senior coroner John Leckey that a second inquest must be held and he stressed that the case was of “enormous public importance”. Over six years later and, despite a number of preliminary hearings, a date has not been set yet for the second inquest. Mr Justice McCloskey today gave his response to an application made to the High Court by Mrs Coulter. The application relates to legal aid funding for the inquest and, secondly, to the coroner Suzanne Anderson’s assessment that the inquest is not Article 2 compliant. Speaking this morning, Mr Justice McCloskey said: “First of all the court wishes to draw attention to its understanding of the very sad background to this case. This young teenager was aged only 15 when this tragic fatality occurred. I can only be struck by the date. It was the 18th of December 1994. That was 24 years ago. The judge said that the Coulter family turned a very important corner when the Attorney General John Larkin QC made an order on the 7th of February 2012 that a second inquest should be held. “Almost seven years later there has still been no inquest and the family finds itself in a forum which ought to be the forum of last resort, namely the judicial review court,” Mr Justice McCloskey said. Following the order of the Attorney General, Justice McCloskey said that a provisional inquest date was set for 17th June 2013. He said it was “very disturbing” that almost five and a half years have elapsed since the proposed date. Mr McCloskey said another hearing date was set for the 19th of November 2013. He said there was an adjournment and one of the issues was the next of kin’s inability to secure exceptional funding from the Lord Chancellor. The judge noted “another huge delay of 14 months” from February 2015 to April 2016. This, he said, was “marked by nothing in terms of any concrete action”. And, he continued: “You can see that the funding issue continues to bubble along in 2017”. The first preliminary hearing in the coroner’s court was listed for 27th of October 2017. “That is just a couple of months shy of six years after the Attorney General ordered a fresh inquest,” the judge told the court. The judge said the court is aware that the coroners’ service has a limited budget and finite resources. However, he went on: “It is appropriate to contrast what has happened in this court. As the first order of the court made clear, the papers were brought to my attention on the 14th of September 2018. I drew up this order within 24 hours of the papers coming to my attention. It has been said in recent weeks that this is a heavily under-resourced court manned by a single judge. The application from Anne Coulter is challenging coroner Suzanne Anderson’s interim ruling that Article 2 is not engaged in the inquest proceedings - this places a duty on the state to safeguard life and take steps to investigate following a death. The judge said it was important to note “This ruling is not expressed in final, inflexible and once and for all terms”. Mr Justice McCloskey said that the application challenges the coroner’s decision that it is not the function of the coroner to comment on legal aid at an inquest. The judge referenced 2005 guidance from the Lord Chancellor on legal aid funding and said there was no reference to this guidance in the coroner’s ruling on this issue. Mr Justice McCloskey also gave his view on legal representation for families. The judge said: “The coroners’ rules infer on Mrs Coulter and her family certain rights. Inquests are a special species of legal process. The rules entitle someone in Mrs Coulter’s position to attend but also to question the witnesses. An acutely interested party such as Mrs Coulter has the right to question the witnesses. This prompts the issue again about medical complexity. Inquests, like many forms of legal process, have become increasingly sophisticated and formal. After speaking for 45 minutes, the judge adjourned for 25 minutes to allow the parties to consider what he had already said. The court then sat for an additional 10 minutes and heard briefly from the legal representatives for the coroner, the Public Health Agency and the Coulter family. The judge then confirmed he was granting leave to apply for a judicial review relating to the approach to the question of the coroner’s role in the matter of funding for the inquest. The second challenge relating to whether the inquest is Article 2 compliant was stayed. Mr Justice McCloskey asked for a detailed chronology of the case to be provided before the next hearing and he also praised the members of the legal profession who had provided pro bono legal services to the Coulter family to date describing it as “an admirable practice”. The case is listed again for November 26th for reconsideration by Belfast High Court. Nicholas Quinn, solicitor from O’Muirigh Solicitors, said that the decision to grant leave in the proceedings and the particular remarks of the presiding judge provide further encouragement to his client in her long-standing pursuit of an inquest into the death of her son. He said: “I welcome the judge’s decision to grant leave to apply for a Judicial Review of the coroner’s failure to take into account Lord Chancellor’s guidance on legal aid funding for the inquest.